Q: As a guardian of young children, I would like to know what are some of the key safety trainings that they must be given? From where and at what age should they be delivered? Ans: Teaching children certain safety tips can not only be the difference in life and death for them but possibly for others too. — How to react if their clothes catch fire (Stop Drop Roll); these can be taught as early as at age three. — How to raise the alarm (scream, call an emergency number, alert the household); taught progressively based on child’s capability to speak, use instruments. Government institutions such as the fire fighting department and Rescue 1122 provide complimentary trainings or for a nominal charge. These institutions prefer to partner with schools to reach a larger audience but are also open to organising community level sessions. — Stay safe themselves and look out for danger at home, school, playground, etc. — Apply the Heimlich manoeuvre (especially if alone) to help someone who is choking. — Help someone who is bleeding. — Help an unconscious person who is breathing. — Help someone with a broken hand. Putting an age to each element is not possible as it is ultimately about the child’s capability to understand and react appropriately after identifying a cause. Rescue 1122 and similar government organisations around the country are capable of providing such trainings. Major private sector teaching hospitals also schedule sessions regularly. Private safety organisations working primarily with corporations can provide on-demand sessions. Girl Guide and Boy Scout Associations across the country have sessions for the members. — Risks during commute (sit inside the transport not on the roof or hang from it). — Traffic laws (signals, crossing roads, use of pavements). This training is particularly important for children who commute daily to their educational institutes without adult supervision. The government institutes such as motorway police , traffic police, national highway authorities even Rescue 1122 have training programmes and teams that visit schools and communities to routinely deliver these trainings. In the private sector, organisations that provide general safety training can provide specialised road safety modules. 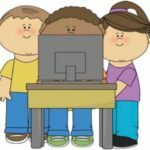 Today’s children are tech savvy as far as operating a gadget is concerned, but the pitfalls of their online presence is mostly ignored; the problem is that adults are often not aware either. — Not interacting with strangers. — Not sharing personal details (where they live, where they are going, etc.). — Managing cyber bullying both as victim or perpetrator. The best age to teach online safety to a child is from the very moment they go online. Remember even if a child is using your cell phone to play a game, in today’s world of smartphones, a child could accidently buy an app. Go online to learn more about online safety. Do key word searches for tips on a certain app safety; go to the security features of any social media app that’s being used; and browse for video guides on how to. TIP: Join the child during training if you can. The responses of the child to the various elements of the trainings will give you a good indication of what you need to focus on. You may also be able to translate for the child the meaning of something to a term they may use instead of what is being taught. Finally make it fun and reward them when they do the right thing during their daily routine as it will help reinforce the need to always do so.